In v3, we'll continue to tackle more of your top wishes. But some need a refactoring / rewrite. So we’ve also officially started working on v4 too. Very excited to work on this - I think you’ll love it even more than the current v3. Don’t worry, it’s still a good time to buy an Unlimited License - we’ll make sure it always is. You can find a rough roadmap in this article. TLDR: we’ll give discounts to recent Unlimited buyers, so that you still get your bang-for-buck if you upgrade to v4. We don't expect v4 to be ready in the next months, sorry. Your feedback 3 months ago helped so much. 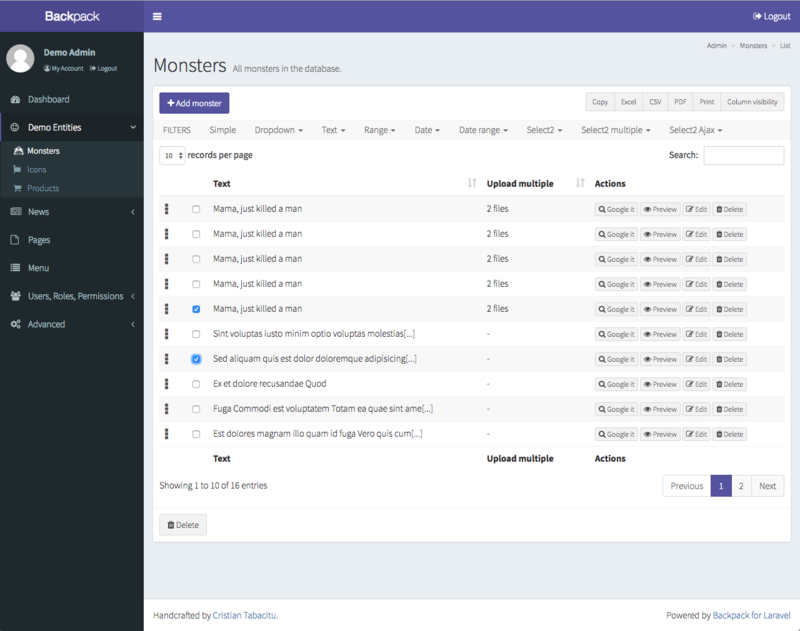 Tell us what improvements you need, when building admin panels, and we might just do it ? We know what you wanted 3 months ago, and we’re working hard at it, but we’ve decided to give you the opportunity to tell us every month, not just every year. If you have stuff to say about using Backpack (good or bad), please fill in this 30-second poll, and tell us. Thanks for using Backpack - I love doing this for you.